March 28, 2018–BOSTON, MA - The birds are chirping, the flowers are blooming, the sun feels a little warmer. Easter is a beautiful and happy time of year: and FOUR PAWS aims to helpkeep it that way. But, there’s a caution sign as well: this time of year, hundreds of thousands of baby rabbits and baby chickens are sold to unknowing parents eager to buy a cute, real-life present for their child. Easter gift and/or “first pet” for children. In reality, bunnies and chicks are a lot of hard work. That presumed lighthearted, cute gift can easily turn into a disastrous house mate and long-term responsibility. temperature changes and get sick easily, often dying within days of being "home." 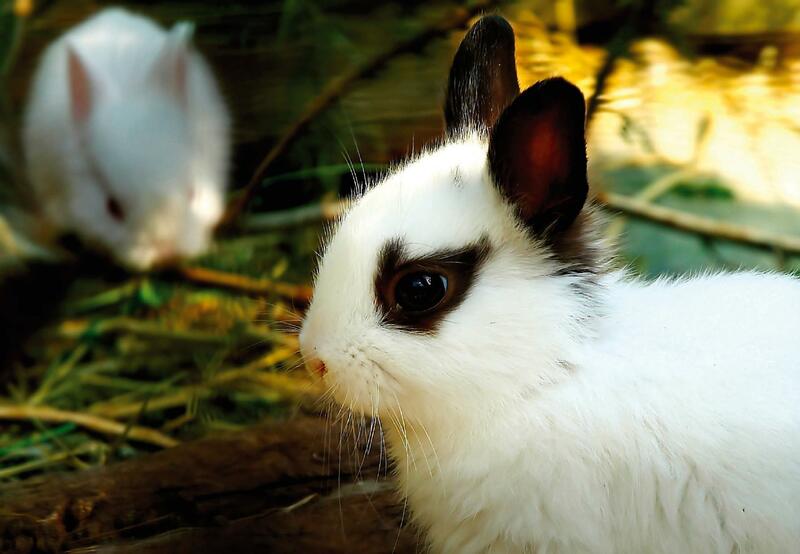 •A rabbit is a long-term relationship and should be carefully researched and prepared for. A rabbit raised in the house or in a coup has a lifespan of roughly 8–14 years, the equivalent lifespan of most dogs! the right food, habitat, space to run and hop, and toys to play with. mishandled, or set free to fend for themselves in a world made up of predators, traffic, curious pets, and high summer temperatures. In fact, in 2009, after public pressure mounted, PETCO and other shops stopped selling rabbitsat their stores because of the amount of returns and abandonments. consider adopting a rescue bunny. Animal shelters and bunny rescue organizations are actively caring for bunnies that need permanent homes - especially AFTER the Easter season fades away.